If you have arthritis, an injury, or other foot problems that don’t respond to nonsurgical treatments, you may need surgery. The highly skilled podiatrists at Animas Foot & Ankle in Monticello, Utah, offer the most advanced technology and surgical procedures available. 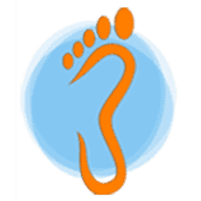 To get personalized care from an experienced, knowledgeable team of podiatrists, book an appointment online or over the phone today. Not all foot surgeries require an overnight stay in the hospital. Some procedures take place right in the office while you are given a local anesthetic, and you can go home afterward. Your recovery period after foot surgery will depend on the severity of your condition and the type of surgery you have. If you are in good overall health, you may heal faster than if you have chronic health problems, such as diabetes or circulatory conditions. Your podiatrist at Animas Foot & Ankle will explain your specific procedure so you know what to expect during and after your foot surgery. To help you heal as best as possible, part of your recovery from foot surgery may include special exercises or physical therapy, especially if you have a tendon repaired. Undergoing physical rehabilitation will help you build strength and regain mobility. Who is Not a Good Candidate for Foot Surgery? At Animas Foot & Ankle, your overall health and well-being is the top priority, so your podiatrist won’t recommend foot surgery unless it’s absolutely necessary. Furthermore, if you have an infection, severe diabetes, significant swelling in the soft tissues of your foot, or other health conditions that are not under control, you may not be a good candidate for foot surgery. Your doctor will work with you and your individual condition to give you the best treatment for your problem. If you’re concerned about a chronic foot problem or severe condition that may require surgery, book an appointment online or over the phone with Animas Foot & Ankle today.